Until last week, I didn’t even own a suitable float for pellet waggler fishing, instead having a tube full of stick floats, bodied wagglers and crystal quills, so after putting in an order with Premier Floats, I was delighted to receive a set of four floats of differing weights which would be suitable. In truth, the delivery wasn’t exactly what I’d ordered, but a quick phone call rectified the issue, and I thought I’d mention their excellent customer service as it deserves praise; if you are looking for a great company to deal with, give them a call! 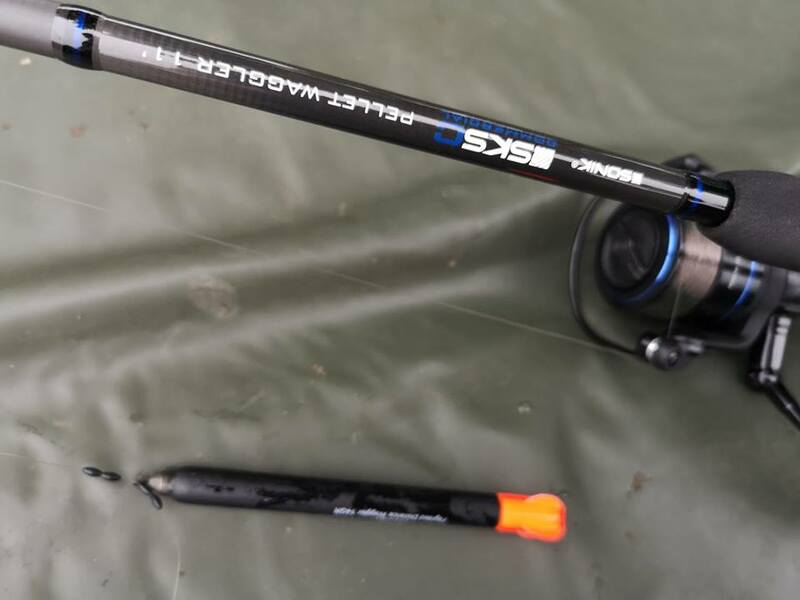 I wanted to fish at around fifty yards, so selected a loaded float of 10g, slipped on a couple of float stops, and attached a pre-tied mono hook link terminating in a size 10 barbless hook with a pellet band. As soon as I’d arrived, I started flicking a few pellets every thirty seconds or so, hoping to see a swirl as hungry carp answered the dinner bell, and after fifteen minutes, I noted the first bow wave as carp moved in… I opted to use Spotted Fin 8mm Premium Coarse pellets, available in a 3kg pouch, which have a uniform sink rate, and fast breakdown. I didn’t particularly want carp grubbing around on the bottom, so these pellets fit the bill perfectly, and a single pellet was banded to the hook then cast out beyond the baited area. I quickly fired out a few more freebies, and wound the float back into the target area. Pre-loaded, it cocked immediately, and then just as quickly shot out of sight; first bite! 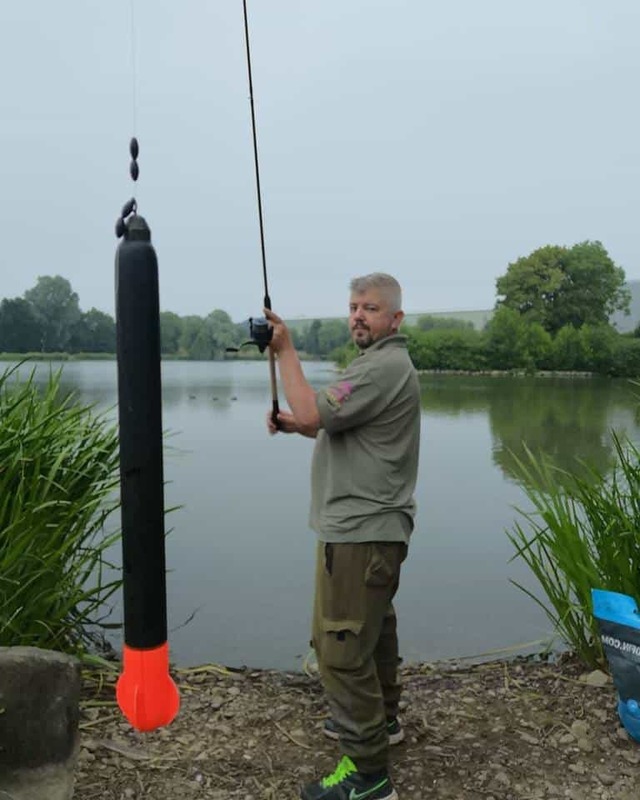 I struck to set the hook, and the new rod picked up the line quickly to connect with the first double figure carp of the day; easy! I was able to quickly shift the fish away from the other carp seeking the falling pellets, and swiftly got it to the net, lifted it onto the mat, removed the hook and returned it after a quick snap, all within a minute; pellet waggler fishing is fast and furious! After two hours, I’d had enough. 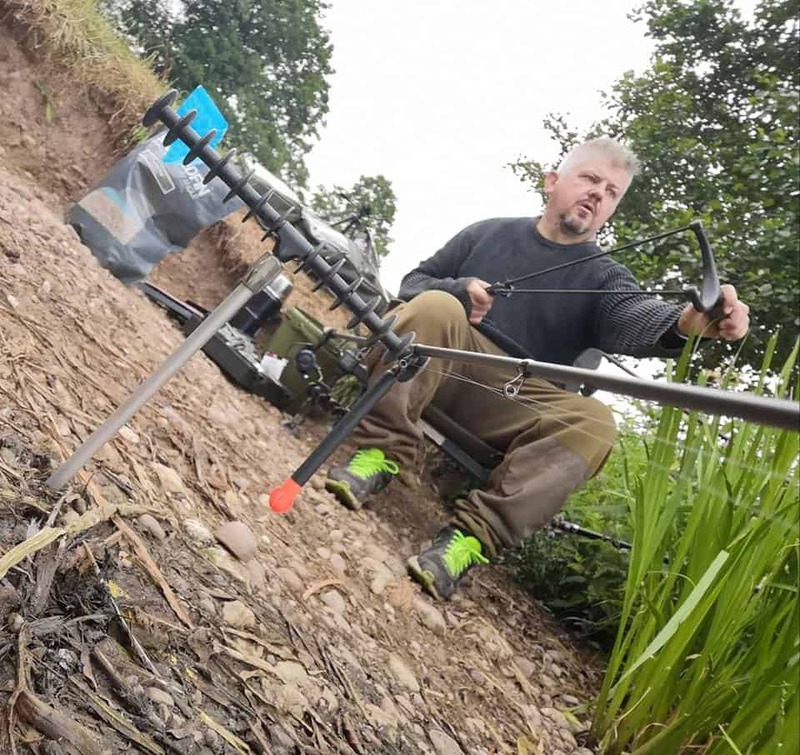 Pellet waggler isn’t really my style, I find it a bit labour intensive, and when I’m trying to relax, I prefer something a little more relaxing. 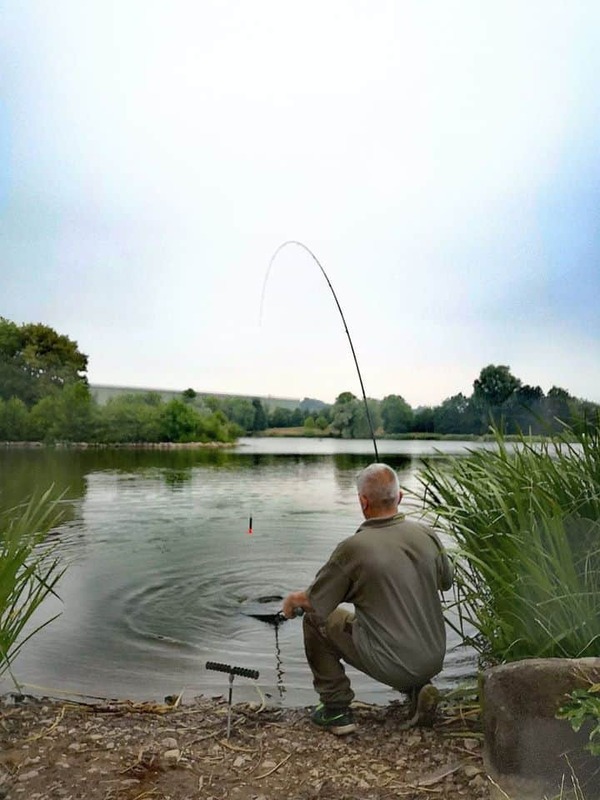 I’d caught enough fish to prove the rod, and if you are a match or pleasure angler looking for a pellet waggler rod that won’t break the bank, then the new SKSC range, coming in at just £39.99 should surely be on your check list. Match it with an SKSC reel too, and for less than £75 you have a functional, good quality set up for your session. 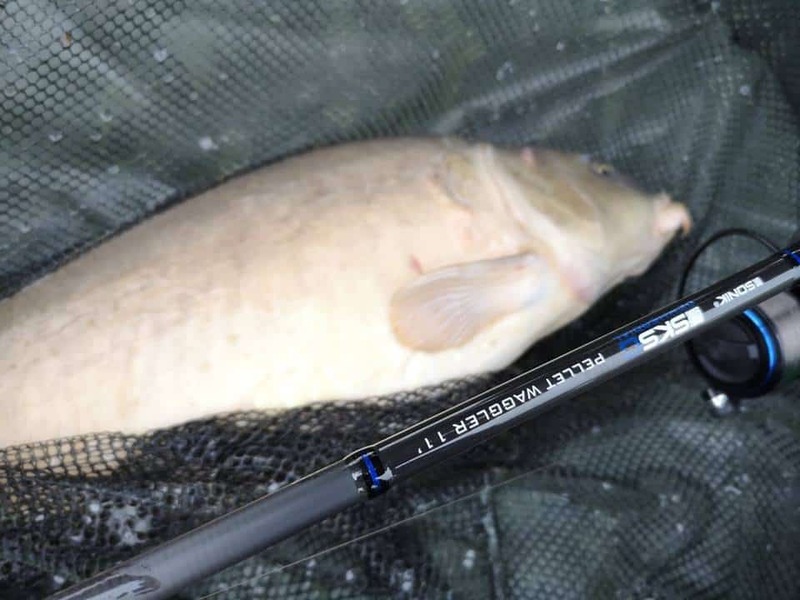 They do the job well, provide fun fishing, and easily handle double figure carp; what more can you ask for?